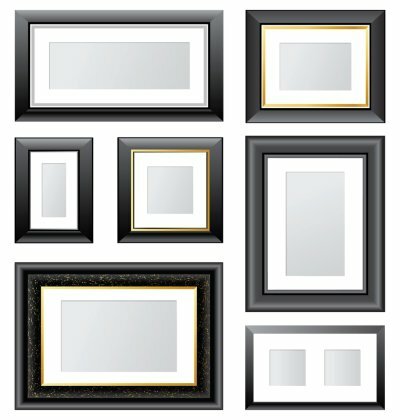 If you want to get the best look for your custom frame, it is important to think about what you are going to frame. Whether you are using it to house a picture or a piece of art, think about the item you plan to place in your custom frame so you can choose a mat that will complement it. You might want to bring the item to the framing store so you can compare it to different mat options and find the one that looks the best . The items around your custom frame can also affect the way the mat looks. If you already know where you are going to put the picture frame, you should think about the other decorative features around it so you can choose a mat that will work well with the rest of your décor. When you are designing a custom frame in San Jose and Santa Clara, you want to think about all of the elements to ensure that they come together well. While you are trying to decide on the kind of mat to use in the frame, you should think about the frame as a whole to choose a mat that will tie the whole piece together. If you take the time to choose features that work well together, you can create a beautiful custom frame that will work for a variety of purposes.